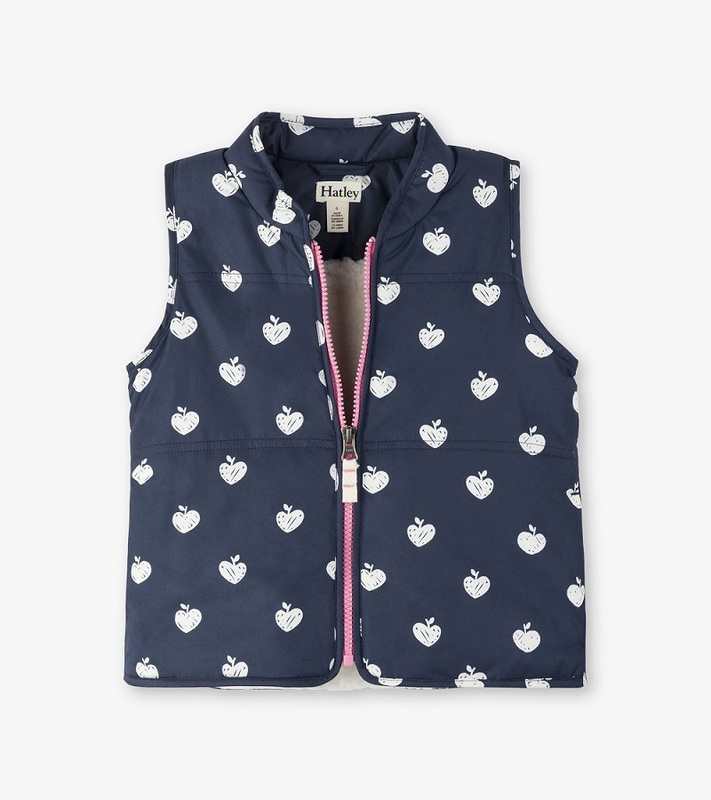 This Patterned Apple Vest is perfect for those cold winter days! The cute apples are heart shaped and each vest if fully line with super soft sherpa! Each vest has 2 pockets at the seams and is teflon coated to protect against dirt and grime. Machine washable by Hatley.